Over the past year I've posted quite a few times about some of the remnants of Taiwan's Japanese Colonial Period. Even though the Japanese only controlled Taiwan for a short time, they wasted no effort in developing the island's economy and infrastructure as well as promoting education and fostering a love of democratic governance - all of which has had a lasting and positive impact on the people of Taiwan. It has been more than seven decades since the Japanese relinquished control of Taiwan and while there you can still find quite a few well-preserved examples of Japanese architecture around the country, most of the buildings that remain are in a state of decay and are in desperate need of maintenance and renewal. The good news is that over the past few years the government has become active in showing an interest in preserving the history of what few buildings remain. All over the country projects have started to restore some of these historically significant buildings which will bring them back to life and help people understand some of Taiwan’s complicated history. The bad news though is that what you see today is a small fraction of what once existed. Today’s post is about yet another of Taiwan’s few remaining Martial Arts Halls - The Taichung Prison Butokuden. This hall is a bit different than the others that I’ve posted about in that during its heyday, it was used specifically for training the employees of the Taichung Prison (臺中刑務所) as opposed to the others which were used for teaching children, police, bureaucrats, etc. As one of the most well-preserved Martial Arts Halls, the Taichung Prison Butokuden is also one of the most widely visited despite most people not actually knowing much about its history. In the coming years as the former residential area near the hall is restored, this area will become an important part of an experience that will teach the people of Taiwan (and tourists alike) about the significance of this historic area in Taichung which was important with regard to the city's development. Taiwan's experience under Japanese colonial rule is considered to be a bit tamer than that of neighbouring East Asian countries as the regime sought to transform the island into a "model colony" which meant developing the islands infrastructure and economy as well as providing a modern education to the people living here. As Taiwan was Japan's first colony, the Japanese Empire wanted to show the world that being under Japanese control wasn't such a terrible thing and that the people of Taiwan would only benefit from becoming a part of the empire. Unfortunately history has shown that things didn't exactly turn out that way for some of Japan's other colonies. The Colonial Period (1895-1945) lasted for a half century and although there were a lot of positives with regard to development, the government was guilty of a great many atrocities. The people of Taiwan also planned and carried out several uprisings to protest Japanese control - which were dealt with quite swiftly by the Japanese army. Even after everything that happened, the general feeling today is that people of this country share a strong bond with the Japanese and enjoy a friendship that despite a troubled history is based off of mutual understanding and respect for each other. While there are still quite a few buildings that were constructed during the colonial era in existence today, the majority of those that were dedicated to Japanese culture (temples, shrines, etc.) were torn down by the Chinese Nationalists who imposed traditional Chinese culture on the people of Taiwan. Sadly, of the over two hundred Shinto Shrines and over seventy Martial Arts Halls, few remain today and that is why their preservation has become important. Taiwan may not be under Japanese control any longer, but the colonial era was an important period of Taiwan's modern history, so the effort to bring the remaining buildings back to life is something that will benefit the people of this nation for generations to come. Butokuden Halls were established in 1895 under the authority of the Japanese government and with the endorsement of the Meiji Emperor (明治大帝). The halls were meant to help solidify and preserve Japan's martial arts disciplines where the virtues of the samurai-like warrior and noble Japanese heritage were promoted. 'Budo' basically refers to Japanese martial arts, but for more clarity I asked my Japanese friend for more information and she sent this definition: Budō is a compound of the root bu (武:ぶ), meaning "war" or "martial"; and dō (道:どう; Dao in Chinese), meaning "path" or "way. The term refers to the idea of formulating propositions, subjecting them to philosophical critique and then following a "path" to realize them. 'Dō' signifies a "way of life". Dō in the Japanese context, is an experiential term, experiential in the sense that practice (the way of life) is the norm to verify the validity of the discipline cultivated through a given art form. Modern budō has no external enemy, only the internal enemy, one's ego that must be fought. While martial arts dojos were common throughout Japan, the Butokuden Halls were different because they were part of a state sponsored attempt to standardize Japanese martial arts. The point of these halls was to foster fervent nationalism as well as the idea of Japanese exceptionalism though samurai-spirit which helped to stoke the fires of militarism in the early years of the 20th century. 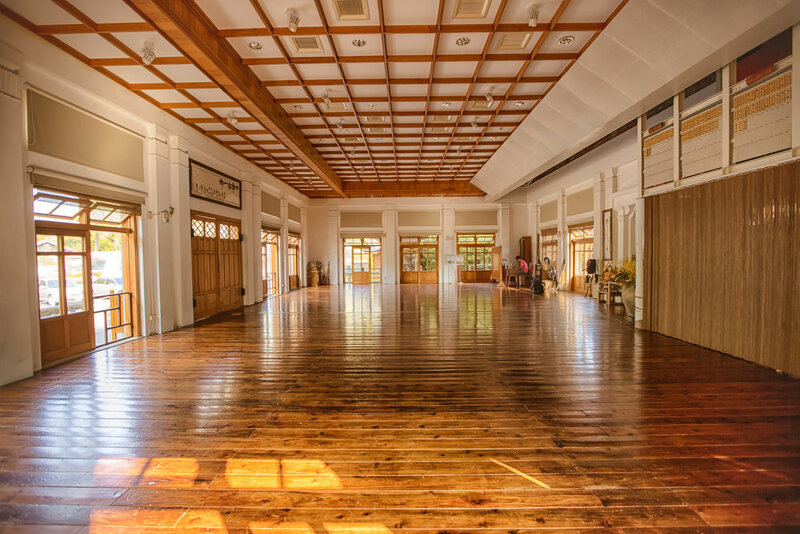 When the Second World War ended and subsequently the Japanese occupation of Taiwan, there were over seventy Butokuden halls throughout the country. The fate of those halls however was similar to a lot of other Japanese constructed buildings after the arrival of the Chinese Nationalists at the end of the Chinese Civil War which were either repurposed, used for housing or destroyed. Today only about a dozen of these halls continue to exist in Taiwan - Some of the which have been recognized as National Historic Buildings and have either been repurposed or renovated while others are in a sad state of disrepair and are in desperate need of attention. Butoku-Kai centres have since spread throughout the world with halls constructed in the US, Canada, UK, France, Russia, etc. Here in Taiwan however, the halls that remain are rarely used for their original purpose and have no relationship with the current Butoku-Kai organization. The Taichung Prison Budokuden is a Martial Arts Hall that was built specifically to help train the employees of the (former) Taichung Prison in both Judo and Kendo for their self-defence. When the prison (which was in operation from 1896-1992) was demolished, the Martial Arts Hall and the community of old Japanese-era houses and dorms nearby were preserved by the local government and plans were made for them to be restored. 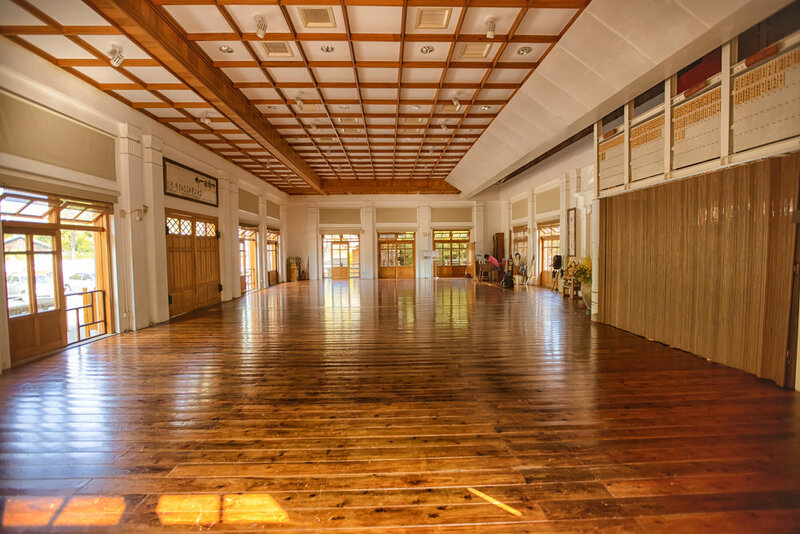 The Martial Arts Hall has already been fully restored however the former homes are currently in the process of being restored by the city government which will ultimately turn the former community into a culture village. Taichung was once home to several Martial Arts Halls during the Japanese-era but today this hall is unfortunately the only one that remains. The good news though is that it is open to the public and serves as not only a historic tourist spot, but also a place where people can learn about Japanese Martial Arts, Art and traditional culture - making this hall quite significant in comparison to the others which are still in existence in Taiwan. Originally constructed in 1937 (昭和12年), this Martial Arts Hall was somewhat of a younger sibling to the much larger Taichung City Martial Arts Hall (台中武德殿) which was built in 1930 (昭和5年) and only a few blocks away. The larger hall was ‘relocated’ a few years back and its current status is somewhat unknown - and finding it will be one of my future urban exploration missions! Like the other Butokuden Halls that I've posted about thus far, this one was constructed with a combination of Japanese and Western techniques mixing brick, concrete and beautiful Taiwanese cypress. 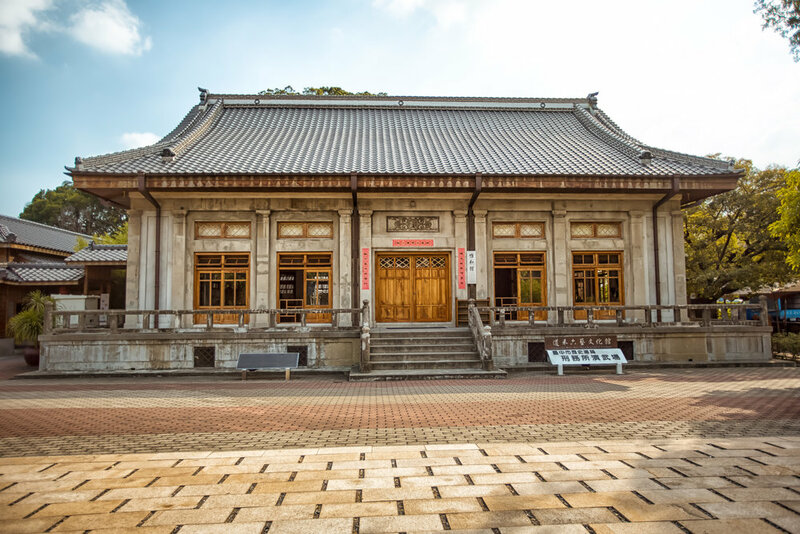 As what we consider traditional Japanese architecture was heavily influenced by the architectural style of the Tang Dynasty (唐朝), the building was designed to imitate that of a Tang palace. The roof of the main building is very characteristic of Tang-style architecture and while some people may identify the building as one that is very 'Japanese' in design, its important to note that the architectural style is a nod to Japan's historic relationship with China in the early stages of its development. The roof has four sides and rises to resemble a mountain-like structure known as a "hip-and-gable roof" (懸魚) with "owl's tail" (鴟尾) decorations on each end. The current roof however is noticeably a bit different from other Martial Arts Halls as it was recently completed reconstructed. The black tiles with the word “武” on the owl’s tails remain the same, but the wooden trusses that support the roof have been replaced with a more modern method of construction that takes away from the typical beauty of a Japanese-style wooden hip-and-gable roof. The interior of the building isn’t really open to the public, but the doors and windows are often open so that you can peer inside. The interior has a beautiful hardwood floor that shines on sunny days. 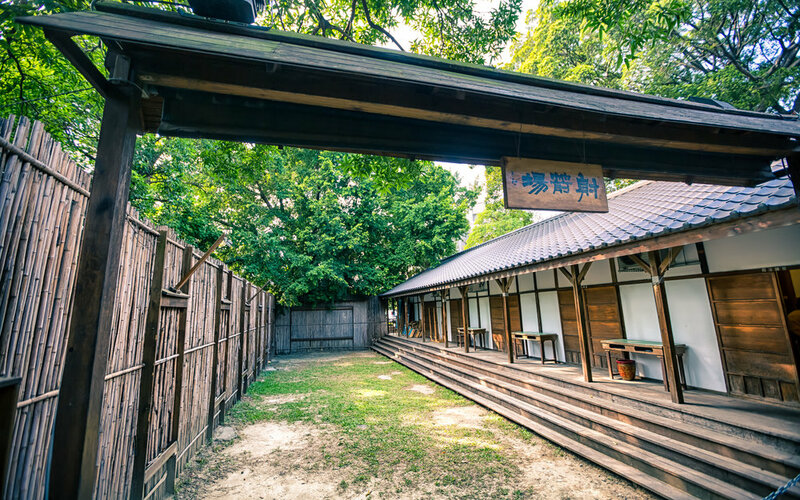 There is a small shrine to the rear of the building as well as Japanese-style closets that are used to store the equipment used for Kendo classes. The administration building that is connected to the side of the hall is one of the most beautiful and most well-used that I have seen thus far. The building has been completely restored and is made completely of wood with large sliding doors and huge picture windows. While it was originally an administration building, today it serves as an ideal location to enjoy some tea. In addition to the Main Hall and the Administration building there is a building to the rear of the complex that was once the dorms used by the people who ran the Martial Arts Hall. Today the dorms have been converted into office space in addition to a space for artists to take classes. To the rear of the building is a beautiful century year old banyan tree that towers over all of the buildings. 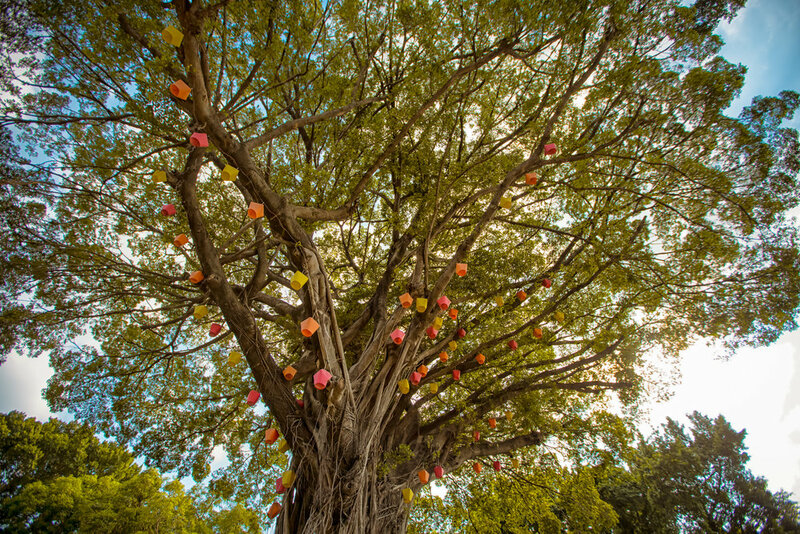 The tree is adorned with Japanese lanterns and offers some beautiful shade from the sun in the relaxing little park to the rear of the main hall. In 1945 when the Japanese colonial era ended, the Martial Arts Hall and the community of dorms around it was converted into a Military Village (眷村) in order to help solve the housing crisis caused by the amount of refugees who fled from China. Eventually more military-village style housing was constructed on the other side of Linsen Road (林森路) which allowed for the Martial Arts Hall to be vacated and then converted for usage as a meeting place and recreation centre for a period of time. In 2004 the building was designated by the Taichung Bureau of Cultural Affairs as a historic building and plans were made to restore it after it was damaged during the devastating 921 Earthquake in 1999. Unfortunately in 2006 during the restoration process the building burnt to the ground leaving only the concrete frame left standing. The city government formed an emergency committee to make decisions about the future of the Martial Arts Hall and it was decided that the hall would be rebuilt based on the original design. After four years of work it was reopened to the public in 2010. Today the Martial Arts Hall is known as the Natural Way Six Arts Culture Center (道禾六藝文化) and offers classes on Japanese art and culture which include Kendo (劍道), Kyūdō (弓道), Japanese tea ceremonies (茶道), Calligraphy (書道), Japanese ink painting (水墨), Origami (紙藝), etc. 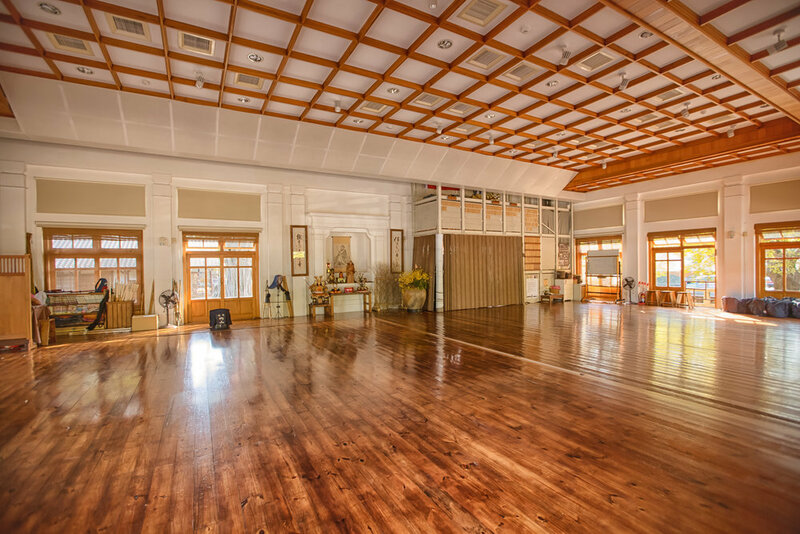 The “Natural Way Six Arts Culture Center” has a contact with the Taichung City Government to run the Martial Arts Hall but that contract will eventually have to be renegotiated meaning that things could ultimately change sometime in the near future. While I generally feel that the people who are running the Martial Arts hall are doing an excellent job offering Judo, Kendo and Kyudo classes as well as offering several artistic and cultural classes to the public, there is something that bothers me about what they’ve done with the building. You might think me to be a bit picky but the hideous signs that are directly in front of the hall as well as the ones pasted by the front doors are aesthetically annoying. They completely take away from the historic Japanese architecture. Both the “Natural Way Six Arts Culture Center” signs to the right of the building as well as the information plaque on the left should be relocated so that visitors are able to better enjoy the beauty of this historic building. Overall though, if I compare this hall to the others that I’ve visited, I feel like this is the only one that is being used for its original purpose. It’s smaller than a 'city-level' Martial Arts Hall but the Taichung City government has done an excellent job restoring it and turning it into a tourist spot. Getting to the Martial Arts Hall is quite easy as it is a short five-ten minute walk from the Taichung Train Station. Simply walk out the front entrance of the Old Train Station and turn left on Jianguo Road (建國路) which you will follow until you come up on Linsen Road (林森路) where you'll make a right turn. The Martial Arts Hall is a block away on the left side of the road. Even though the Taichung Prison Martial Arts Hall was recently reconstructed, it is still one of the prettiest and most complete of the remaining halls left in Taiwan. 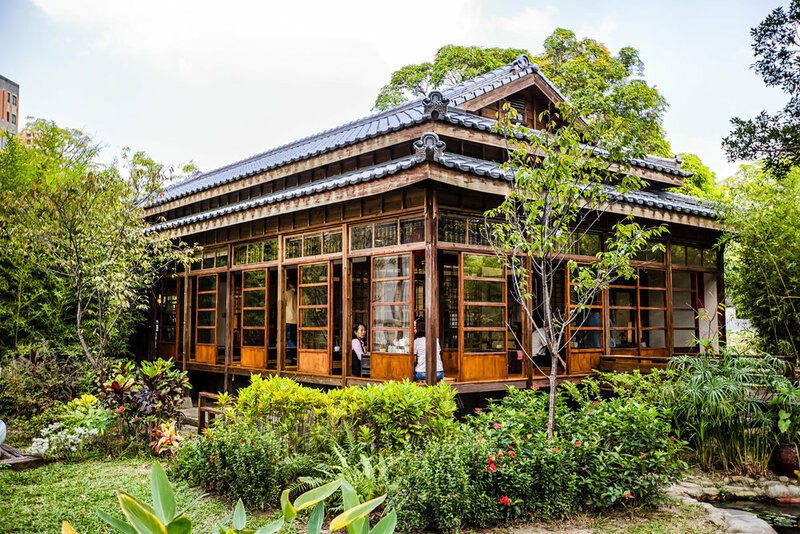 The Taichung City Government has done an excellent job in converting it into an attractive area for people to not only learn Martial Arts, but learn about the history of the Japanese Colonial Era. If you visit the hall you'll be able to take part in some local art exhibitions, enjoy some coffee or even a traditional Japanese tea ceremony in the building next to the hall making the visit not only a learning experience but also a cultural one as well. The area where the Martial Arts Hall is located has a precarious history as mentioned above but the city plans to convert it into one that will offer the people of today a chance to learn about that history while also enjoying the beautiful architecture of the past - If you're in Taichung, be sure to stop by and check this one out!